Todd is the founder of Arlington HealthCare (AHC), a physician recruiting and consulting firm, and to date, he has overseen more than 2,000 permanent physician placements, negotiated $500 million in starting salaries and impacted hospital/group top line revenue by $1.8 billion. Leave a legacy that lives on through their patients, friends, and family. Todd's unique approach is abundantly clear in his pioneering of the AIM properties, which brings together program directors, residents/fellows, practicing physicians and healthcare professionals, along with subject matter experts, to provide education and tools for residents that allow them to align their values with their future employers. 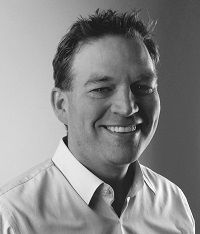 Todd also consults and extends the Adventures in Medicine content and resources to physician employers and recruitment groups who wish to most effectively reach, connect and build relationships with Residents, Physicians and their families. Recently, Todd created PhysicianCareerPlanning.com, a searchable resource library of 100+ Career and Life Planning resources. In addition to receiving his Bachelor's Degree in Business Administration from Indiana University, Todd completed an intensive study on Napoleon Hill's 17 Principals of Success at Purdue University, including Definiteness of Purpose. When Todd is not working he enjoys cheering on his twin daughters, Riley and Sydney at swim meets, date night with his wife Nicole, and watching the Chicago Bulls.